Cute eeky spidery easel card... Although I'm not a fan of those creepy crawlers, thank god we don't have them here at my residence.... LOL! 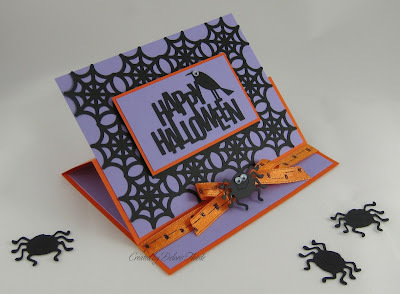 That's a really cool Halloween card. I'm sure your neighbor's grandson will be tickled.